The Hydrangea Serrata ‘Blue Billow’- Tiny Tuff Stuff Mountain Hydrangea is the perfect bush to plant if you love and would like these beautiful lace cap blooms in your flower garden. This Hydrangea bush is planted next to our utility shed for shade coverage. We also have a huge tree to protect the bush from Summer’s blistering heat. They are hardy enough for full sun, but I like it in part shade for protection, because here in the South, we have some scorching heat days. My neighbor was a former teacher. She would often share photos of flowers with her students from her yard, and this bush from my yard, was one of the photos she made sure to snap every year. Sometimes I shared blooms with her so the children could get a first-hand look and feel of the soft petals, but most of the time the flowers weren’t in bloom while school was still in session. She always had wonderful stories from the children to share. The Hydrangea blooms always made it into a cut flower vase for my table. A classic cut crystal vase was gorgeous to use, but I also used a quart Mason Jar as a vase. The jars make for a great centerpiece filled with Hydrangea blooms, or anything else for that matter. Hydrangeas bloom on old and new wood. So…if you fail to cut the bush back one year, you’re safe! The plant I bought was supposed to be 18-24 inches high, but mine kept growing to about 4 feet. The pot was labeled wrong! I certainly didn’t mind though, because the blooms are so pretty to enjoy while I sit on the deck with a nice cool glass of tea in a warm evening or a steaming cup of coffee in cool mornings. I have three varieties of Hydrangea. They’re all so colorful, it’s hard to decide which I enjoy the most. If you’re in the market for Hydrangea, check out the different varieties before you choose from your garden center. The snowball is probably the most widely planted, because the blooms are huge and gorgeous! Did you know you could change the color of the Hydrangea bloom? The whites ones will remain white, so don’t even try to change its color. If you like the blue blooms, the soil needs to be more acidic. For pink blooms the soil should be more alkaline. Here’s a link that explains how. They’re also easy to dry and use in arrangements for a long time to come. Here’s a link for the directions. Now if we can keep the rabbits from our vegetable gardens, we’ll be happy women! Happy planting, and may you grow lovely blooms. 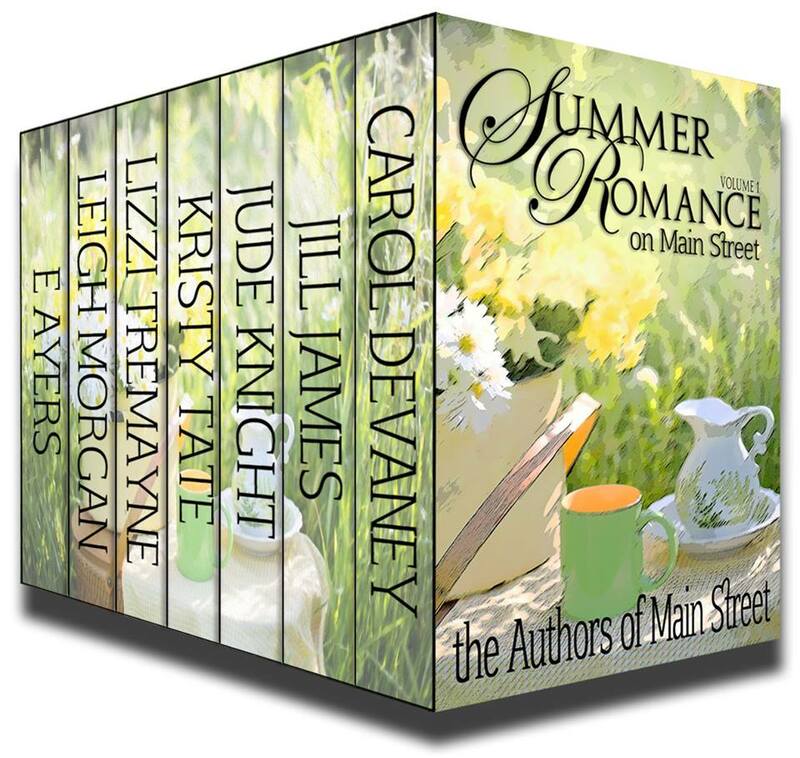 If you haven’t received your copy of Summer Romance on Main Street, please consider checking it out on Amazon. http://a.co/gliP4Fb Our newest Spring Book Bundle has seven new and amazing stories for only .99 cents! Until next time…I wish you Love, Butterflies and Music. This entry was posted in Carol's Posts and tagged blooms, Book Bundle .99, Change Hydrangea color, Crystal Vase, Drying Hydrangeas, Hydrangea, Mason Jar, Snowball Hydrangea, South, Summer Romance, Summer Romance on Main Street, teacher. Bookmark the permalink. Lovely summertime post, thanks! Can’t wait to read the whole book! Thanks, Lizzi! We have some wonderful stories in this set…as with all other sets! Enjoy. Thanks for visiting and sharing our newest box set, J.M. Maurer! I’ve read you can’t alter the color of a white Hydrangea, but what do I know? Lol I’ve seen a shade of pale green, but believe it’s a different variety. About two miles from our house is a yard with enormous white Hydrangeas. They look to stretch around ten to twelve feet or so. Awesome view. Rabbits have a mind of their own! Lol Your dad must have switched watering mixture to bring a smile to you and family! Or to trick you kids! I love hydrangeas, and have several, but they’ve never done particularly well here. Maybe when I’m retired I might figure out why. When I was a child, I lived near a long hedge of granddaddy hydrangeas, which had been left to grow unchecked so that all the green and the flowers were on the outside of a long tunnel of twisting branches. I used that hedge as the refuge for the little girl left home alone in the very first story I had accepted for radio broadcast, Big Girl (as in, you’re a big girl now, darling). How interesting the radio broadcast must have been. Congrats! Good luck resolving your issues with your hydrangeas. When you’re ready, search the internet for tons of information on how to grow, care and change the colors.